In the first of my rants (How The Internet Changed The Hobby) about the lessons I learned from collecting hobby-related items, I discussed how the Internet has changed the way we collect and how are collections are perceived by others. 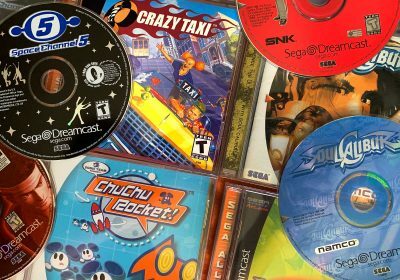 This time around I want to show you how buying “valuable”� and “rare”� games isn’t necessarily a good investment, but that you should instead focus on collecting games that you enjoy. 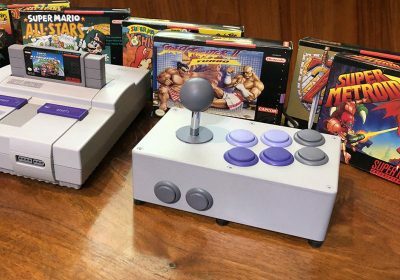 There are a handful of games from virtually every console that are treasured by collectors because of either their rarity or their cult status — or sometime a combination of both. The first examples that come to my mind are Radiant Silvergun for the Sega Saturn and Rez for the Dreamcast and PS2. If you have one of these games that are rare or have a high value, congratulations are in order. However, you should avoid purchasing games primarily because they are valuable or rare. Sure, Radiant Silvergun might be worth a lot now on eBay, but what happens if the game gets a deluxe re-release on the Xbox 360? The Saturn version won’t be dirt cheap, but it won’t hold its value as well as it once did. However, if you still enjoy the game and/or it holds a special place in your heart, you shouldn’t care nearly as much if the value does go down for some reason. Over the long term, original copies of somewhat rare and popular games can decrease in value for a number of reasons. The first example that comes to my mind is Gunstar Heroes for the Sega Genesis/MegaDrive. I first when shopping for this great shooter in the late 1990’s — well after the system was out of the mind of most gamers. The game had a bit of a cult following online and fetched about $20-25 for a complete copy. A number of years have passed since then and instead of the value increasing, it has gone down to around $10 or so. The value is only half of what it was well after it was already “old”. What would cause an already-old game to decease in value even though it is still regarded as a semi-rare classic? First of all, even after the Genesis was off the retail scene, there were still a number of gamers that wanted to play it. This kept the demand up and the prices fairly high. However, over the years, more and more of those games played it and less were buying it (and many of those who bought it used are re-selling it again). It is a classic case of more supply and less demand. Also, emulation of the Sega Genesis is become more common, accurate, and easier than ever before. 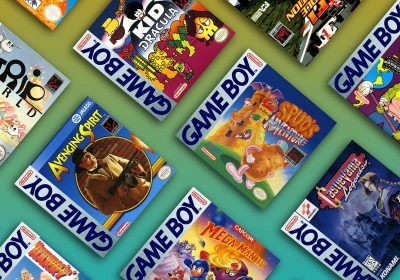 More gamers are emulating Genesis games instead of playing the cartridges on their original consoles. I imagine that this will only increase as Genesis titles are easily playable on the Nintendo Revolution’s Virtual Console, XBox Live Arcade, GameTap, or other similar services that bring emulation to the masses. While this may not be happening yet to newer systems like the Sega Saturn or Dreamcast, it is only a matter of time. In addition to this move away from original copies of games, there is also a growing market for game reprints, which has a controversy of its own. There are companies out there such as Game Quest Direct that have worked out deals with publishers to re-printing games that originally had a low print run and subsequently commanded high prices on eBay. 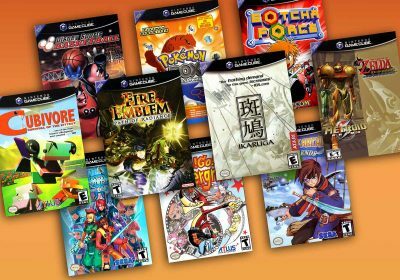 While the reprints have only been games for current systems such as the PS2, the publisher has expressed interest in reprinting any game that fetches over $100 on eBay. What is interesting about these reprints is that there are not any distinguishing characteristics to tip off collectors, and they are marketed as a legitimate commercial game (which they are). Because of this, there are a number of games that were once thought to be rare but are now in much higher supply. Once the average game collector realizes this, the value of the game will decrease substantially. I just read a comment today on Digg.com from a person that bought the PS2 version of Rez for $8 because he heard it was rare, but was disappointed to find out it had been re-released. I’m not sure why he was complaining since $8 for a copy of Rez is an excellent deal no matter if there are a ton of reprints. Also, unless Rez really wasn’t his type of game, I wouldn’t think $8 would be too much to ask for such a great gaming experience. Anyway, between the fact that interest in most original copies of older games gradually decreases and the number of game reprints (legal and illegal) are on the rise, I would strongly recommend that you focus on collecting games that you actually enjoy as opposed to looking to vintage games as an investment. Obviously there are much more sound investment vehicles than video games, but if your argument against collecting for profit boils down to “they might lose value,” then you don’t have much of a point. Investing successfully in any market is part knowledge of the forces that drive said market and part dumb luck. Any investment can lose value, and every investment category has its fool’s gold (Like Enron stock and Rez for the PS2). 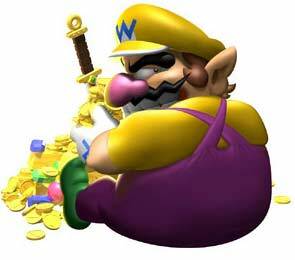 That said, there are certainly video game artifacts that could be considered investment-grade: the purchase of a slightly undervalued gold Nintendo World Championships cart (as identified in another of your posts) is just as likely to double your investment in 10 years as any decent mutual fund is. I totally agree with you! Collect the games you enjoyed. On the other hand, I often grab games I’ve heard were great which, for one reason or another, I never got around to playing. Panzer Dragoon on Saturn is an example. So many people have made such a fuss about this game, I bought it recently with a Saturn just to have a go. This hasn’t been touched in a while so I figure I will revisit it. Collecting of any sort is subject to market fluctuation. There are going to be ups and downs but the classics are going to remain the classics. Comic Books, toys, and stamps all suffer from this same problem. But eventually they level. The good stuff rises to the top and the junk floats to the bottom. If you can find a complete copy of Final Fantasy I for the NES in 40 years, regardless of how many emulators and rereleases have been put out there, it is going to be worth substantially more then it is now. As collectors we will always have the ability to justify the value of certain items. Every collectors hobby has its ups and downs. Video games are in their infancy. If you can get complete copies of games released in the early to mid 80’s they are worth a lot. This will be the same for NES/Genesis, TG16, PS1, N64…just give them their time. If you have a feeling about a certain game pick it up. Throw it in a ziploc and hang on to it for a while. I guess in closing, and I don’t have ther ability to put my thoughts on paper very well so I hop the above isn’t too difficult to process, the majority of valuable games on the market are the ones which gamers enjoy. Otherwise who would want to buy them? As always I enjoy reading your articles. But I do disagree with you on this particular article on several points. Just because values of “some” items go down over time, does not make it a bad investment. With all investments there are winners and losers. What I would like to see is empirical evidence of the average annual growth of old video games. Then you could compare video games strictly as an investment vehicle versus the more common investments such as stocks and bonds. One has to think differently about investing with retro video games. Once a video game is created and sold, the “original format” doesn’t change over time. I hate to use this terminology, but it is was it is. There will be, in my opinion, a growing, larger market for original game cartridges and discs in the future. People will always look for original items in a genre. They do it with records to this day. The music they listen to is available in multiple formats but they like how they heard it when they were younger (records). 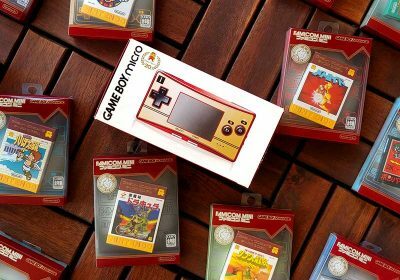 Supply vs. demand is the key here – there will be no more original cartridges of Chrono Trigger created. When a cartridge gets broken there will not be another created to take it’s place. That, plus whether or not people will still consider this a great/classic/must own game, which to me is undisputed, is what will determine whether this game is a good investment (Demand). It really comes down to how nostalgic you feel people will be in the future. I can say for myself – I love the original systems and controllers and will always buy things in their original state. Lots of people are fine with emulating games. 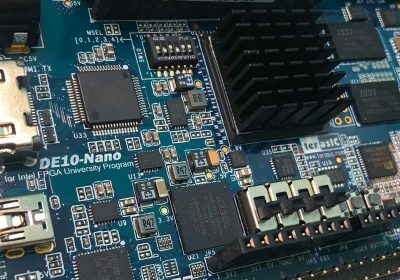 What the trend will be 5-10 years from now is the question. I’ll assume you’re referring to LPs (vinyl), and while there certainly are those that purchase LPs for nostalgia or novelty, the most prevalent reason why LPs are still sold today is that analogue has superior mid-levels to digital, especially in comparison to CD and compressed formats. Analogue is simply the superior choice for audiophiles. Nostalgia has nothing to do with that. As for the topic at hand, I agree with the general consensus of the comments. I’ve watched prices of many older cartridge-based titles since emulation has gotten more prevalent and since things like the VC have made it even more so. Many complete games (box, manual, and cartridge – cartridge only is a different market) don’t fluctuate much in price even with rereleases, as some items are sought for their collector’s value and not for playability (which is why cartridge only prices can vastly differ for games with higher collector’s value). There’s no doubt that something like Radiant Silvergun would drop in value with a rerelease, as the game wasn’t so much rare as highly sought after as the holy grail of shmups. Panzer Dragoon Saga, on the other hand, is not only a legendary RPG but also a rare US title on a system that is dear to many collectors. For an example of a more obscure game (where prices are actually more consistent, due to smaller releases), look up prices for Trigger Heart Exelica, which got a rerelease on Xbox Live Arcade some months ago. The standard version still fetches more than the price it was originally sold for and the Limited Edition copy often goes for $150. And I could have told you that would happen months before the game was released, as the same thing happened to many postmortem Dreamcast releases. I’m not sure how the PS2 release will effect that, but I can assure you the LE will continue to be worth more than it was originally sold for. That seems like a sound investment to me. I agree with Yaphet, a game made in 87′ is hardly old. The real question is what will be considered an antique years from now? When old nes games are presented on antiques road show, than we can argue about what is and what is not valuable. Its crazy to think that we have hardly scratched the surface of the video game world. Generation Y is the first to grow up with video games around us and we are all still under 30 years of age. I would not be so presumptuous as to the value of games 20 or 30 years from today. I have to say though, how can a horrible game ever become valuable regardless of the number of prints made. Games that were never popular 20 years ago will likely never be very valuable years from now. I guess my point is that the great classics, the ground breakers, and the game changers will be the most vluable games around. These are more than mere investments, they are historical points in time for the video game industry. Their values are going up? That’s just a wow moment. I know for a fact Action 52 is broken, but isn’t Cheetahmen II broken aswell, at least a little bit? The games Earthbound and MOTHER3 are two rare games — well, not rare so much as highly sought after, but rarer than searchers could hope for. I recently found MOTHER1 and MOTHER2 (The main MOTHER series is Japanese; the English versions are named Earthbound 0, Earthbound and MOTHER3, although Earthbound 0 (MOTHER1) was never released in the US) on Amazon for about $35. It was a re-release of the games and bundled into a single GBA cartridge (the originals were SNES) and I figured even though it was a re-release it was still a rare game. I had forgotten that it was the Earthbound series, not the MOTHER series, that was worth more, and after purchasing I realized it was a re-release of the re-release. Oops. So pretty much what I’m saying in my clumsily tired typing is if you see a game that you enjoy, even if it’s a re-release of a re-release as I’ve somehow managed to do, go for it! It’ll at least tide you over until you do find the right one. And hey, it may even be a rarity in itself! Angry Nerd increased the value of almost any game. For example, Action 52 and Plumbers don’t gear Ties.